Sara Equipments - We offer wide range of Sanitary Napkin Dispenser Machine, which is delivered in the under the brand name of SARA Sanitary Napkin Dispenser Machine. We are making a sincere attempt to hand over a premium-Quality range of Napkin Vending Machinewith the affordable cost to valued customers. We are having a high-quality team of engineers, service person. Quality confirmed on various parameters. Transparent windows for the availability of Napkins. Dispensing of the napkin at the drop of the coin. “Epoxy Powder coated” with the 7-time process. 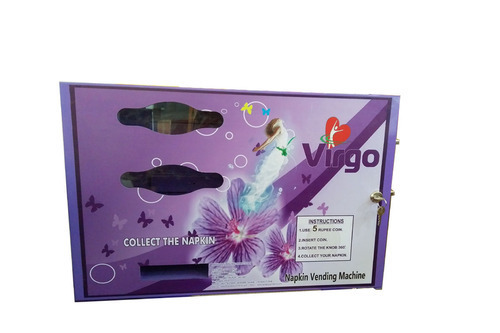 Looking for “Sanitary Napkin Dispensers”?